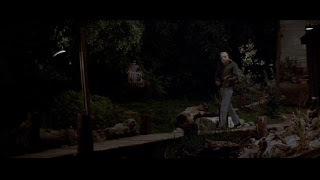 Over at Shock Till You Drop, the latest Retro Shock Theater is up, this column taking a fond look back at Friday the 13th Part 3. 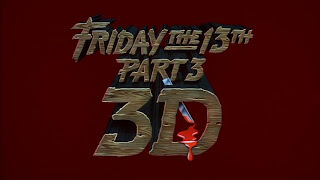 Since this summer began, marking the thirtieth anniversary of the hallowed Summer Of '82, tributes to the landmark films of that summer have rolled out across the internet and even though Friday the 13th Part 3 may be no Blade Runner or The Thing, it's still a classic of its kind. 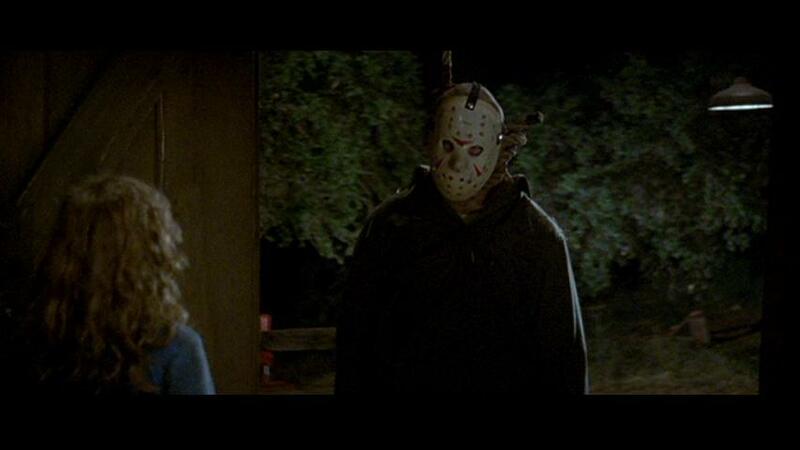 This movie, of course, is when Jason really became a slasher superstar. He wasn't in the first movie at all save for in flashbacks and in Alice's dream and in the second, the character had some fashion issues. This movie, though, gave Jason the most successful style makeover of any movie monster ever. 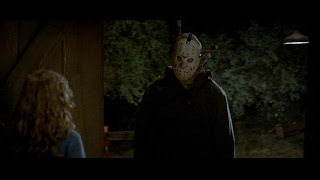 True, they didn't radically alter Jason but dumping that sack for the hockey mask was the change that made all the difference (ditching the overalls was a smart move, too). Now he was iconic, an instantly identifiable pop culture figure. 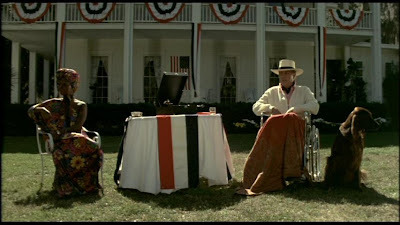 Plus, it helped that actor Richard Brooker was much more physically imposing than Part 2's Steve Dash and he carried himself with almost a swagger. 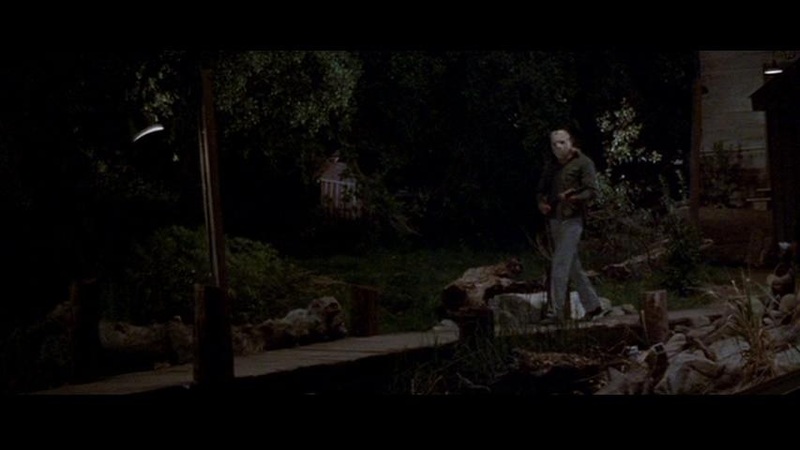 The scene where Jason steps out along the dock - the moment when we first see him in the hockey mask - there's a real laconic quality to the way Brooker walks in this scene and it's like we're seeing the character for the very first time. 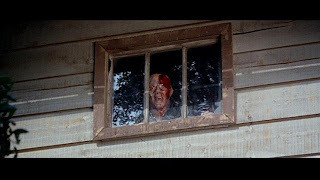 Mostly what I think about when I rewatch these old Fridays is how younger viewers probably can't even concieve of the fact that these films were considered scary in their day. There's probably a few jump scares that would still work for new viewers but, in general, I think they come across as pretty mild - which is just mind-blowing to me, someone who vividly remembers how notorious this series once was. 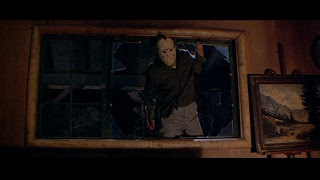 Back in the day, the public outcry over the violence in the Friday the 13th films was enough to make the MPAA crack down on splatter for the duration of the '80s. Now these films carry an odd sense of innocence about them and could practically pass for PG-13 today (well, not really - but they're nothing anyone would even blink an eye at). 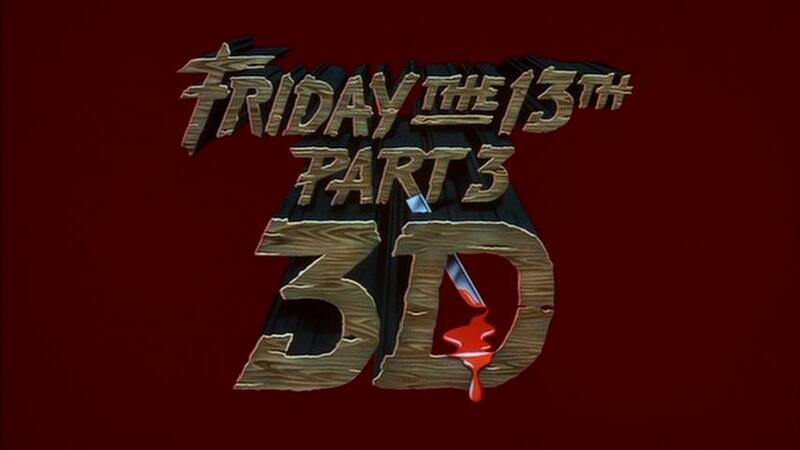 We live in much more jaded times now and given that it's nice, in a bittersweet way, to revisit films like Friday the 13th Part 3 that represent a time where our cultural threshold for violence was much lower. 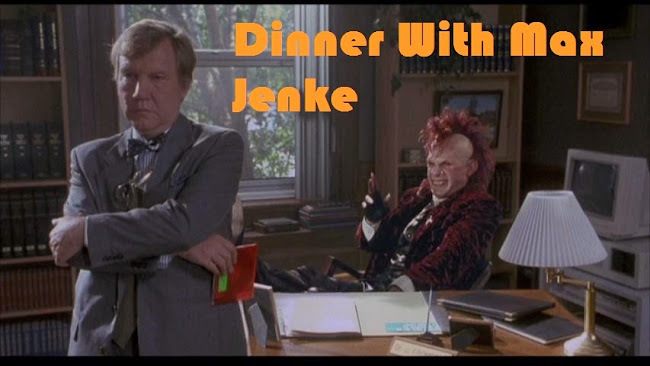 Plus, who doesn't love the rad disco remix of the Friday theme? 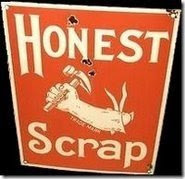 Although it may often seem that the US is sinking into a pit of its own stupidity and that our government has become irreversibly dysfunctional, this is still (we hope) the greatest country on Earth, damn it, so in celebration of Independance Day and all the wonderful freedoms we Americans enjoy, the latest Retro Shock Theater column looks back fondly at 1972's 4th of July-set favorite, Frogs. 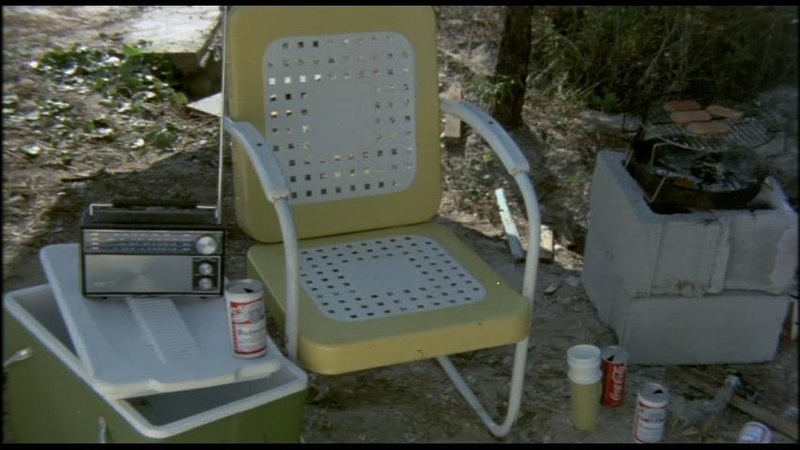 When I was a kid, Frogs was in regular rotation on the 4 O'Clock Movie on Channel 30 out of Hartford, Connecticut and it never failed to give me the creeps. Even though its sillier aspects became more apparent to me as time went on, I still think it's an effective horror yarn. I don't know if it's the best of the nature attacks films of the '70s as it has plenty of competition for that title (Kingdom of the Spiders might have a leg - or even eight! - up on it) but its all-star cast of critters makes Frogs the most emblematic of its sub-genre. 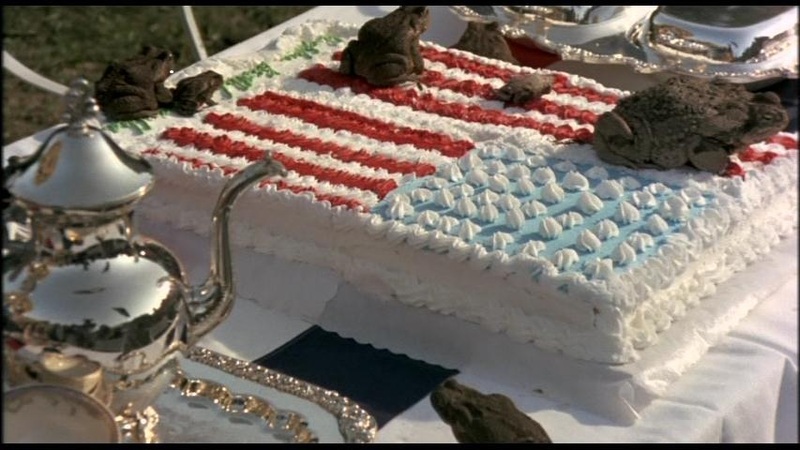 So on this 4th of July, I'm saluting not just the flag, but Frogs. It's a movie that has America written all over it. Like this country, loving Frogs means accepting the occasional troublesome, ugly, and possibly incurable, wart.